Unfortunately no I don't. I came across the image, but following the link to the site it doesn't appear in the results. I appreciate you sharing it. It's a great photo. Cheers! Nice, I think I was following a link to a different print site. At least someone tracked it down. Lou Costello with a pipe. Who knew? Look how beautiful his hand writing is. It puts my scrawl to shame. 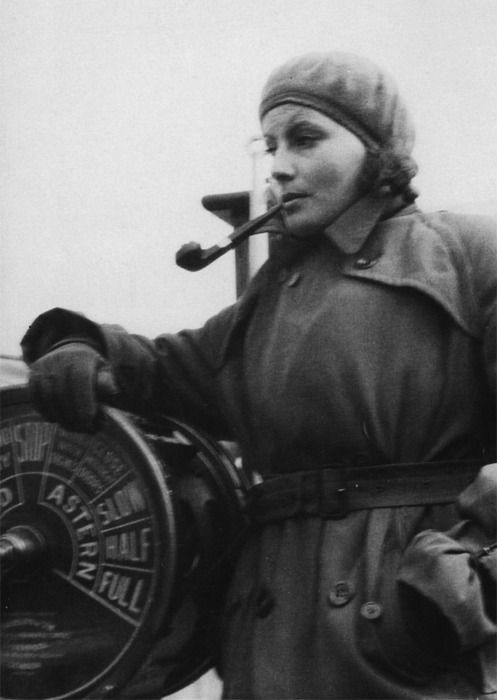 Greta Garbo smoking aboard ship. I love that top photo of the old man on the porch. Can you give any info on it? I have never seen it before. Agreed! I can see my self in that picture years and years from now. Or right now if I could still be the younger guy! Yeah. I wonder if that's what's appealing to me about the photo too. I would like to think that could be me some day. 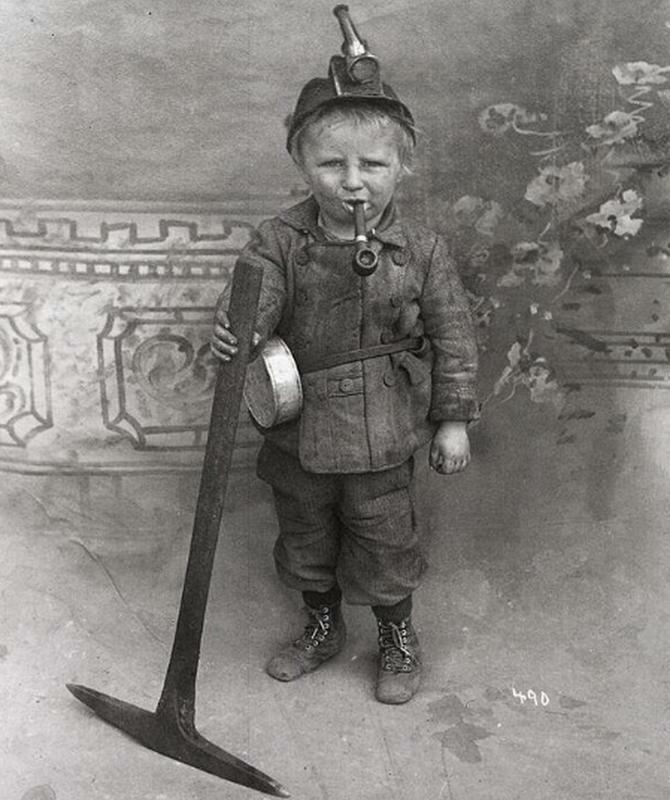 This is supposedly an 8 year old coal miner. I don't think this kid is anywhere near 8. This is an interesting picture. What would he do with a pick that weighed more than he did. And why the fancy background? While children of that age often worked, the set up here looks odd. I’m intrigued. Came across these videos on YouTube by Muttnchop Piper. May not be totally accurate (as he states), but nonetheless quite interesting. Even some of the comments from the viewers are quite interesting. Bing Crosby smoked Hayward Mixture, and there's a photo of him in his bio to prove it. I never believed the story that he smoked Crooner. Crooner is tough to lite up, and in any scene where Crosby lights up, he gets the char light very quickly and puffs away. Hard to do that with a cube cut blend like Crooner. Basil Rathbone did not portray Sherlock Holmes in movies in the 1950s. He did in the late '30s and through much of the 1940s. Hefner smoked Mixture #79 is public, but his second in command told me that Hefner mostly smoked Sail Yellow. Edward G. Robinson also smoked Dunhill blends. Greenfield and Winther originally produced EGR. The guy didn't do his home work well. I think the Bogart story is crap, too. On the YouTube site with comments from viewers, someone else also stated that Bing Smoked Hayward Mixture. SmokingPipes states the following with regard to Crooner.... "A specially cut, cube-style Burley and Deertongue tobacco, Cornell & Diehl's Crooner is an authentic copy of Bing Crosby's private blend, shared with C&D by one of his closest friends." Perhaps Bing smoked more than one blend. Other Viewers claim that Gerald Ford also liked Walnut Blend and that he also smoked "my blend" from Sidetrack Tobacco from Bristol VA. Interesting bits of tobacco trivia. 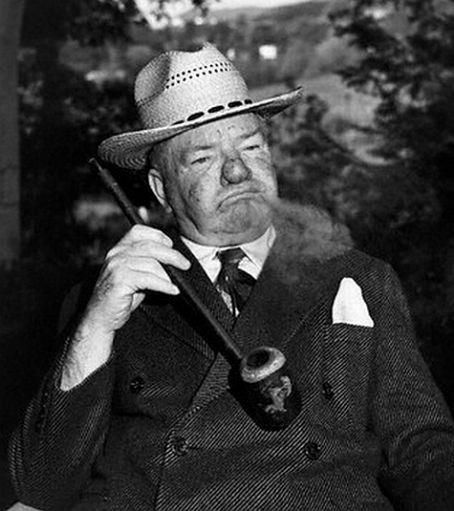 W.C. Fields smoking some kind off Ropp looking pipe. Here's a photo I found of an old shoe cobbler having a pipe while working.